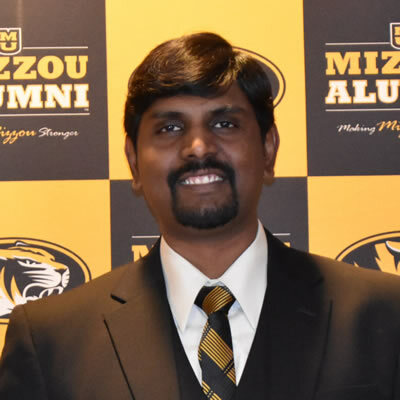 Susheel Bhanu Busi and Michael Fink, scholars at MU’s College of Veterinary Medicine (CVM) were included in the inaugural class of the Mizzou 18, announced Feb. 27. Susheel Bhanu Busi, MS, is a doctoral candidate in MU’s Molecular Pathogenesis and Therapeutics program, a joint graduate program of the CVM’s Department of Veterinary Pathobiology and the School of Medicine’s Department of Molecular Microbiology and Immunology. In 2016, Busi received a travel award to present his study at the Allied Genetics Conference in Orlando, Florida, about the possible relationship between gut microbiota and colon cancer. Last year, Busi won the People’s Choice and first place awards at the MU 3-minute thesis (3MT) competition. 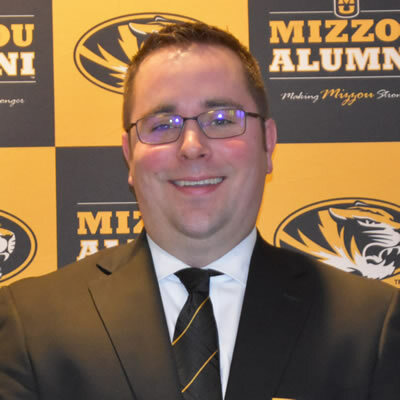 He recently represented Mizzou at the Conference of Southern Graduate Schools’ 3MT competition, winning second place at the event. He was also selected to give a platform presentation at the American Association for Cancer Research and received a Scholar in Training award from the non-profit Colon Cancer Coalition to support his trip. Busi’s mentor is James Amos-Landgraf, PhD, assistant professor of veterinary pathobiology. Michael Fink, DVM ’13, PhD ’17, is a graduate fellow in the CVM’s Department of Veterinary Pathobiology with an interest in comparative vision science. Fink won first place honors for his research presentation during the CVM’s 2017 Research Day. Fink was inducted into Phi Zeta, the honor society of veterinary medicine, while a resident in 2015. 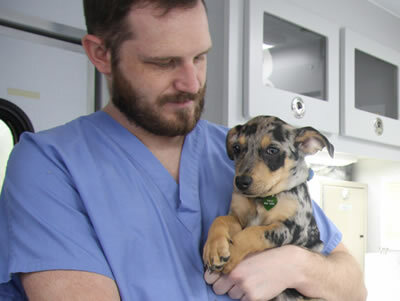 Through MU’s Comparative Medicine Program, Fink completed a residency in the veterinary specialty of Laboratory Animal Medicine and a PhD in Area Pathobiology in the laboratory of Rajiv Mohan, PhD. Fink’s mentor is Craig Franklin, DVM ’87, PhD, professor of veterinary pathobiology. The Mizzou Alumni Association Student Board presents the Mizzou 18 Award to 18 outstanding graduate and professional students each year. Chosen for their academic achievement, leadership and service to Mizzou and the community, the honorees represent a variety of research areas, activities and organizations from across campus.